The latest walking tour to spring out of Sri Lanka’s capital is fresh, fascinating and highly original. Join SK De Silva, born and bred in Colombo, as he takes you on a journey through Sri Lanka’s colonial past into its vibrant, multicultural present. Discover the various nations that have settled on this extraordinary island and the impact each one has had on Sri Lanka’s culture, in particular its religion, language and architecture. Red Dot Tours has been exploring Sri Lanka for well over a decade, and we are always on the hunt for the newest experiences, run by the most inspiring, innovative people. We know when we find something special, and there is no doubt that SK De Silva’s tour of Colombo is a cut above the rest. SK is friendly, dynamic and passionate about the preservation of his country’s cultural heritage, and is a knowledgeable and enthusiastic guide. 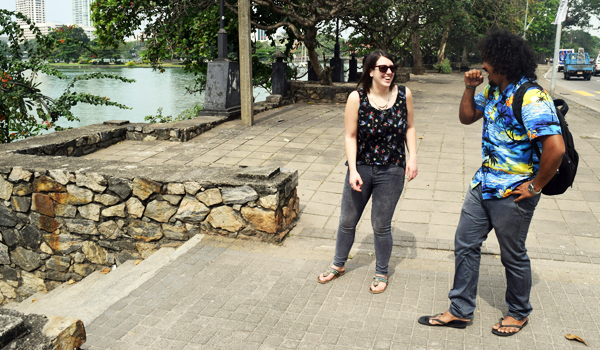 Like many capital cities, Colombo is a melting-pot of cultures. As well as the traditions that live on from Sri Lanka’s fascinating ancient history, European influences are wide-spread across the country, which were infused into Sri Lankan culture from the early 16th century when the Portuguese settled on the island. Sri Lanka was colonised by the Portuguese (1505), the Dutch (1640) and the British (1815) respectively, and each nationality left behind a legacy which permanently altered Sri Lankan culture. Nowhere in the city is the cultural diversity more apparent than Slave Island, which is the focus of SK’s walking tour. Slave Island, named by the somewhat unimaginative British, was once the port where the Dutch and Portuguese brought African slaves. 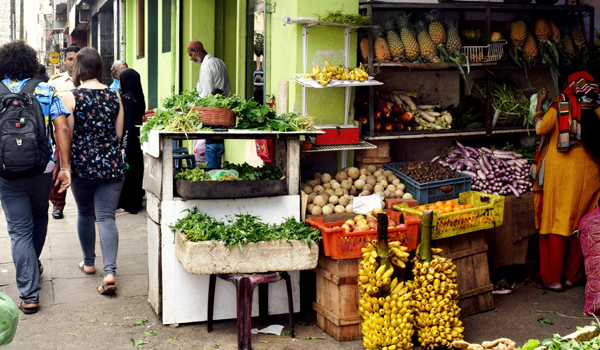 This section of Colombo is now regarded as a multicultural hotspot and is home to people from a variety of ethnic backgrounds, including Moors, Malays and Burghers. The different religious beliefs, languages, food and clothing of everyone in this community mingle together to create a culture that is now wholeheartedly Sri Lankan. 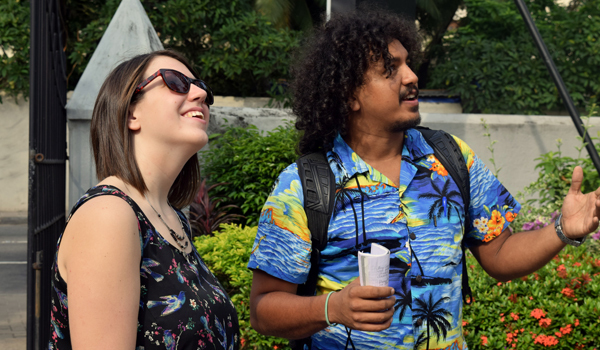 As you walk through the jumbled streets, SK uncovers the history of Slave Island and describes how it became the diverse area it is today, pointing out the tell-tale pieces of historical architecture and religious buildings which reflect Sri Lanka’s modern day confusion of cultures. Within five minutes you pass an English railway station, houses with Persian and Dutch architecture, a Hindu temple and a mosque: it is a landscape which cannot help but impress upon you the impact each separate culture had on shaping modern-day Sri Lanka. The full tour takes you from Galle Face Hotel to Beira Lake, wiggling through the lively streets of Slave Island, and lasts approximately two hours. 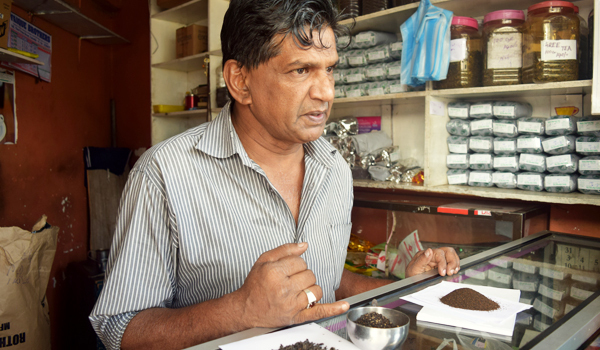 En route you visit a tea stall, where you can pause in the shade and sample various types of Sri Lankan tea. SK also offers two optional visits on the route, one to a Hindu temple and one to Gangarama Temple, one of Colombo’s most famous attractions. For anyone looking to learn more about the cultural history of this beautiful island, this experience is a must. Hello, can you please provide contact information for Sk De Silva’s tours?